At one point, Fallaci asks, “And where’s the opposition? 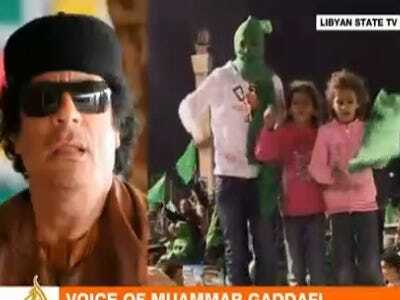 Qaddafi: What opposition? What does the opposition have to do with this? When everyone participates in the congress of the people, what need is there for an opposition? Opposition to what? Opposition is against a government. If the government disappears and people govern themselves, what does one oppose? What does not exist?